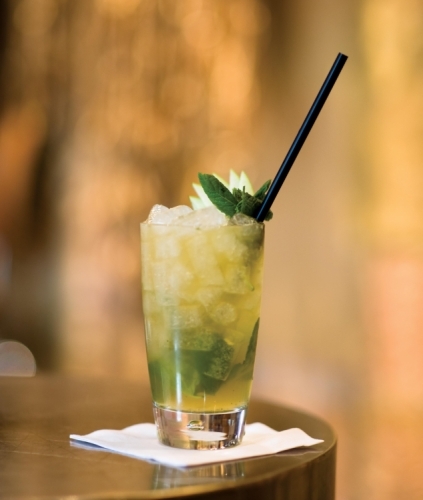 With a muddling stick in a strong glass, pound the apple, sugar and lemon to release all of the flavours. Add the shaken ingredients and some ice and using a Cocktail Shaker, give it a vigorous shake. Place extra ice in a Tall Glass and strain the cocktail over the ice. Garnish with some apple slices and extra mint.